This is my take on the McDonald’s Big Mac.Grilled, of course. This is one mighty fine burger. You might have to do ‘the hunch’ because it’s gonna drip on ya. And ya might have to press down a bit on it because it’s a tall burger. We’re not messing around here, this is the classic Big Mac, with a wonderful twist. I’m not a big fan of any burger that isn’t cooked over fire, so these burgers have that Big Mac taste along with that great grill flavor. They’re big, messy, and delicious! I also make grilled Big Mac sliders and slider Big Mac hoagies. Form ground beef in to 8 patties, each about 3 1/2 ounces each. Season with salt and pepper. Add another bun. Slather it with sauce and add onion, lettuce, a patty and more dill pickle. Top with another burger bun top and serve. 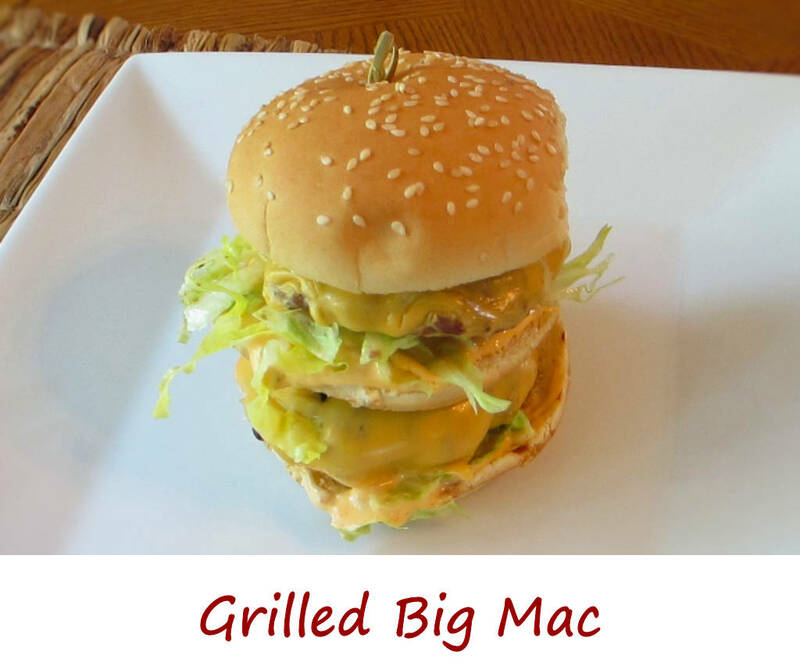 This entry was posted in From the Grill & Smoker and tagged big mac, big mac sauce, Copycat Grilled Big Mac, grilled, Grilled Big Mac, Grilled McDonald's Big Mac, recipe, special sauce by Mike. Bookmark the permalink.